Small cars represent a big chunk of the car market in Canada and carmakers work hard for every sale by offering impressive products and tremendous value. Cars in this segment are often little more expensive than they were 15 years ago and are faster, smoother, more economical and safer than ever before. Other than a need for greater cabin space, there is now no compelling reason to move beyond this class. 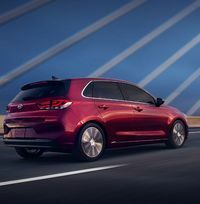 Two new cars, the Kia Forte and Volkswagen Jetta, have been introduced as 2019 models. The Jetta goes on sale this spring but Forte fans will have to wait until the fall pick up their rides. as 2019 models, The Volkswagen Golf undergoes a mid-cycle refresh for 2018, the Ford Focus limps along for its eigth year and the Mitsubishi Lancer nameplate has been retired as the car was discontinued as the firm withdraws from the small car segment. The highest-rated cars are often very competitive on a monthly finance payment basis, but only some cars have leasing arrangements worth considering. Please refer to the pricing section of each car review to determine whether that car is a good lease value. A new sporty-themed Redline trim option is available on the LT model. The diesel engine is available on the hatchback body style for 2018. The smooth, torquey 1.4 turbo pulls strongly at all speeds and is very well mated to the slick-shifting conventional six-speed automatic transmission. The high-torque 1.6L diesel engine is very quiet and accelerates effortlessly. The steering is nicely weighted and geared, maintains good directional stability on the highway, but lacks feedback from the road. Braking is strong, with good pedal feel, but the pedal itself is too close to the driver and requires a deliberate lifting of the foot off the throttle to activate. The Cruze is endowed with an absorbant ride and handles tidily. Inside, the driver faces two crisply marked main gauges that surround a configurable central display. The dashboard features a large central screen as well as simple, logical controls for the climate and audio functions. Cruze occupants enjoy comfortable seats and rear seat legroom is generous for this class. The mainstream 1.4L gasoline turbo with 153 horsepower has been augmented by a new 1.6L turbodiesel rated at 136 horsepower and a stout 236 lb-ft. of torgue. Two six-speed transmissions, a manual and an automatic, can be mated with the gasoline four, with the diesel offering the same manual as well as a new nine-speed automatic transmission. With nearly 27,000 units sold in 2016, the Cruze had a very successful introductory year. The $16,295 L model is strictly to advertise a low MSRP as it lacks automatic transmission and air-conditioning, necessities for mainstream buyers. The $20,595 LS automatic model is nicely equipped and is a worthy competitor to the Civic LX or Corolla LE. Upgrading from the LS to the LT costs only $1000 but contains around $2000 in content. The supplement requested for the range-topping Premier over the LT is carefully reflected by the additional content in the upgrade.The diesel engine boosts the price of the sedan by $4250. The hatchback, only offered on the LT and Premier trims, is priced $750 higher than its sedan equivalent. Good lease value. New car, not rated. 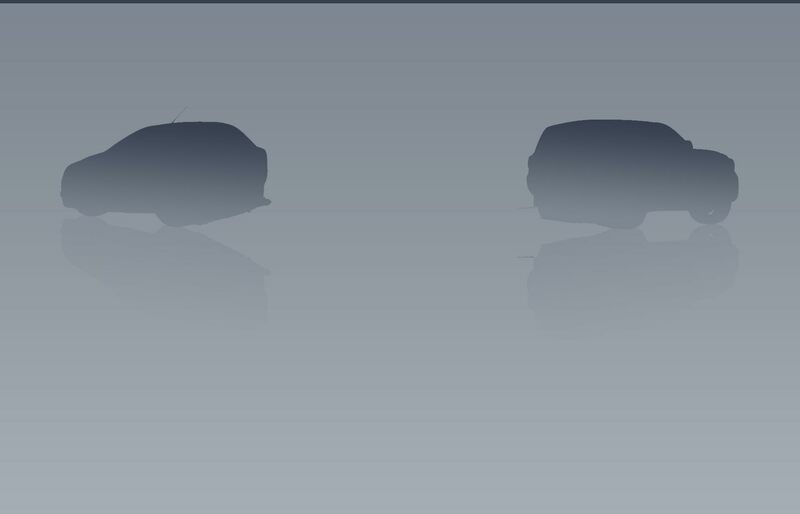 New platform, body and engines. Predicted average reliability. No changes for the Focus in its EIGHTH year on the market in its current form. Sales have evaporated as the car enters its post-retirement years. The smooth 2L four sounds sporty when extended but acceleration lacks the eagerness expected for a car with 160 horsepower. The automated manual transmission, except for an occasional hesitation, works very well. The loud clunks that were a part and parcel of this transmission when introduced have been largely exorcised. Precise, perfectly weighted steering, crisp handling and a resilient ride. Awkward ignition key placement. The Focus is a reasonably quiet car. With massive, flexible power, docile clutch and crisp gearchange, the turbocharged ST gathers speed enthusiastically. The ST's steering is quick, communicative and perfectly weighted, but 252 horsepower sending power to the front wheels leads to "fist full of snakes" torque-steer when accelerating hard. Superb handling is accompanied by a surprisingly smooth ride devoid of any jarring over major road imperfections. Very easy to drive normally, the ST only reveals its impressively sporty nature when you want it to. Powerful, progressive brakes with good pedal feel. The 1L three-cylinder turbo is smooth, quick and economical. A very tall first gear in the six-speed manual transmission makes for languid launches from a stop and makes urban stop and go driving tiresome. The new all-wheel drive 350 horsepower RS is a fast, agile machine and a dialed-in driver's delight. The Focus cabin contains lots of matte finishes, soft-touch plastics and chic faux alloy accents. Crisply-marked gauges. Complex controls. The SYNC3 infotainment interface is easy to use and is a big improvement over the previous apparatus. Very tight cabin, little headroom and severely limited rear legroom. Try the back seat before you buy a Focus. Large, comfortable front seats in the mainstream models but the aggressive bolstering of the Recaro sports seat in the RS and ST suit only the super slim. Big trunk on the sedan but the cargo area of the hatchback body is shallow below the window line. Driven briefly by the APA, the Focus electric was smooth, quick, quiet and a delight in town. Various displays coach drivers to get as much range as possible from the batteries. Like other pure electrics, range and re-charging time are major concerns. Concerning as well was a "stall" experienced with the test vehicle. The battery pack reduces trunk space. On most Focus models, power stems from a 160 horsepower 2L four that sends power to the front wheels via either a five-speed manual transmission or a six-speed dual clutch automated manual with a full automatic mode. The turbocharged 252 HP 2L four sitting under the hood of the Focus ST sends power to the front wheels via a six-speed manual transmission. A 1L three cylinder turbo that produces 123 horsepower and 148 lb-ft. of torque is only offered only on the SE sedan with either a six-speed manual or a conventional six-speed automatic transmission. The high-performance RS, which is built in Germany, the rest of the range is assembled in the United States. Hatchback and sedan body styles powered by the 2L four are priced the same. The SE, SEL (hatchback only) and Titanium trim upgrades are all very good value if you like their content. The 1L turbo triple is only available on the SE sedan. The Focus ST and the Focus RS are very expensive but are carefully focussed sporting machines machines that deliver impressive driving thrills. Leasing is not worth considering. The Focus electric with leather upholstery sells for about $9000 higher than a 2L Titanium but can engage substantial provincial rebates to reduce or eliminate the price gap between the tow powertrains. Average reliability overall but problems are cropping up as the cars age. The unconventional operation of the automated manual transmission is a delight for some but something some owners can't come to terms with, even when it is working properly. Dual clutch automatic transmission faiilures have been reported, with Ford paying for the dual clutch replacement but denying claims for actual transmission failure, even for owners with a Ford extended warranty. MyFord Touch and steering have generated consumer complaints. Some steering rack issues reported. Unproven turbo engines in the ST, RS and the 1L three cylinder. An extended warranty from Ford of Canada is recommended. A 306 horsepower Type-R variant is new for 2018. Thw 1.5L turbocharged Civic is quick and cruises with great serenity. However, some drivers find the direct injection system to be noisy and when hooked up to a CVT, the engine drones annoyingly on gentle acceleration and makes the car feel lethargic around town. The new six-speed manual transmission, with a silken smooth clutch and crisp shift action, feels like a premium machine which makes the turbo four sing. The Civic's steering is quick, accurate and beautifully weighted. With crisp handling and a firmly resilient ride, the Civic displays suspension prowess that belies its modest price. The Civic's good brake feel is the entry into solid stopping. Overall, the Civic's solidity, performance and cabin space make it a very tough car to beat in this segment. Inside, the gauge package is dominated by a tachometer flanked by fuel and temperature gauges. A digital speed display is mounted within the corona of the tachometer. The centre of the dashboard is dominated by the Honda Link touchscreen which eliminates all knobs for audio functions and for the climate control fan speed. This system is not that user friendly and the backlash from customers has led Honda to improve its infotainment interface on subsequent models. The rest of the cabin is very Honda-like in design. The Civic displays levels of design, fit and finish that exceed those of a number of compact luxury sedans from revered manufacturers. The new Civic's low roofline and seating position may be too low for less agile buyers, but once in, the car is very comfortable with supportive seats and good legroom for a car in this class. Mainstream Civics are be powered by a normally-aspirated 2L four previously seen in the Acura ILX, with high-end EX-T and Touring sedans, and all hatchbacks, having a 1.5L turbo four under the hood. Both engines can be teamed with either a six-speed manual transmission or a CVT. The Si trim ekes out 205 horsepower out of the 1.5L turbo four but is cursed by needing premium fuel. The 2L turbo four in the Type R cranks out a spectacular 306 horsepower. The Honda Sensing safety system includes collision mitigation braking, road departure mitigation and adaptive cruise control with low-speed follow is standard on fancier models and is an inexpensive option on lesser trims. The Civic DX sedan has an MSRP of $16,690, but without air conditioning or automatic transmission, it is just a ruse so Honda can advertise a low-low MSRP. The $20,890 LX with a CVT and air conditioning, is the defacto base model for most buyers. The EX trim level is very good value and the Touring is a bit of a bargain considering the wealth of its content. The EX-T, which costs $1400 more than the LX CVT, includes the turbo engine as well as about $900 worth of additional features. The Honda Sensing active security suite, standard on the EX, EX-T and Touring sedans with the CVT, is a $1000 option on the LX hatchback. Coupes are priced $400 higher than a sedan of the same trim level. The supplement Honda charges for the hatchback versions of the Civic ranges from $2100 on LX models and up to $3300 for the Touring trim level, but includes the turbo engine on all trim levels. the Sport reflects the value of its additional equipment, but the Sport Touring is great value for its equipment. The Sport and Sport Touring have six horsepower, but need premium fuel; a burden for owners. Good value leasing on all three body styles. Not rated, new model with unproven turbo engine, platform and body. Previous Civics have been rated above average for reliability. Active Safety Features: Collision mitigation braking, road departure mitigation and adaptive cruise control with low-speed follow standard starting with EX trim. Changes to the Elantra this year are limited to packages and packaging. Except when pushed hard, when it becomes a bit noisy, the Elantra's 2L four is quick, flexible and smooth. It is carefully matched to the slick-shifting conventional six-speed automatic transmission and delivers exceptionally smooth performance in town and at normal urban-suburban speeds. The Elantra's ride is very absorbant, but its rear suspension needs some more development work as it can lose composure over big bumps taken at speed. The steering is nicely geared but is too light and offers no feedback to the driver. Braking is strong enough but pedal feel is too soft, pedal travel is excessive and the brakes lack initial bite. Good road and wind noise suppression. 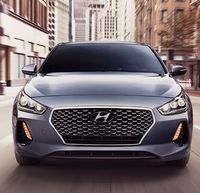 The 1.6L turbocharged Sport model is quick, smooth, and has more accurate, better weighted steering and better brake feel and response than the mainstream Elantra. Swapping the low-cost torsion beam rear suspension employed on most Elantras for the more complex multi-link unit in the Sport transform the ride and handling of the Elantra. Hyundai should have issued all Elantra models with the attributes given to the Sport, and tweaked that model to be even sportier. The front seats are not ideally shaped, especially the bottom cushion, however, they do prove comfortable enough over the long haul. Rear seat comfort is good and legroom is average for this segment. Those driving the Elantra face big, clear gauges and a horizontally-arrayed dashboard dominated by a large, centre-mounted infotainment screen. Simple, logical controls for the audio and climate systems rest underneath the big infotainment screen. With elaborate sports seats that hold, but don't pinch, as well as a few "sporty" touches, the interior of the Sport is very nicely presented. Good trunk. Power stems from a 2L four that features an Atkinson cycle, which, according to Hyundai, reduces internal pumping losses, and is more commonly used on hybrid vehicles. Though Hyundai has moved heavily into direct injection, the new Elantra uses a multi-port injection system. Power reaches the front wheels via either a new six-speed automatic transmission or a six-speed manual. The Sport model is powered by the same 1.6L turbo found under the hood of the Veloster and fancier versions of the Tucson. Available active safety equipment includes a pedestrian and vehicle detection system with autonomous emergency braking, lane keep assist, blind spot and rear cross traffic warnings. Sans la climatisation ou la transmission automatique, le modèle de base L est simplement là pour annoncer un prix de base alléchant à 17 804 $. La version LE avec la boîte automatique, la climatisation et la connectivité Bluetooth s’avère le véritable modèle de base, à moins de vouloir le régulateur de vitesse. La version GL avec la boîte automatique (22 154 $), le volant chauffant, les roues en alliage, le régulateur de vitesse et le système de surveillance des angles morts constitue une bonne affaire, tout comme la GL SE. La GLS est un peu chère quand on considère son contenu. Si vous aimez les commodités qu’elle propose, la version Limited vaut le supplément de prix demandé. Un modèle Sport est vendu 2 500 $ de plus qu’une version GLS équipée du moteur atmosphérique. L’ensemble Technologie de la version Sport offre une bonne valeur. La valeur de revente prévue est moyenne. Without air conditioning or an automatic transmission, even as options, the base $15,999 Elantra won’t suit too many buyers but is good for advertising a low, low MSRP. The $18,499 LE trim level features automatic transmission, air conditioning. Bluetooth and a sound deadening blanket affixed to the bottom of the hood. The $20,349 GL, equipped with a heated steering wheel, rear-view camera, alloy wheels, satellite radio, blind spot and rear cross traffic monitors and automatic headlamps, is very good value, as is the GL SE. The GLS upgrade has a few niceties like a heated rear seat and sunroof, but is very expensive when the additional content is accounted for. Upgrading from the GLS to the Limited is good value if you want leather seating. At around, the $26,499, the Sport with automatic transmission delivers a very pleasant car and its Tech package is good value. Reasonable value leasing for 2018. Average reliability. Excess oil consumption was a problem with the 1.8L four powering the previous Elantra, and this new 2L Atkinson cycle engine is unproven. Adhering to Hyundai's service schedule and keeping all receipts for service are imperative if Hyundai is not to deny a warranty claim. Dismantle and lubricate the rear disc brake components annually to prevent expensive repairs. City Fuel Economy: 8.3L/100 km. A new-generation Elantra GT (marketed as the i30 in Europe) debuted at the Toronto show in February went on sale in Canada in the summer of 2017. Hooked up to a six-speed automatic transmission, the GT's base 2L four accelerates briskly and cruises quietly. Though our 2L tester was underpinned by the same torsion beam rear suspension as the underwhelming 2L sedan, the GT copes better with large bumps and handles with greater precision. The GT's brakes have a firmer pedal feel and less lost motion than those on the Elantra sedan. Built in Slovakia and called the i30 for Europe, this Korean built hatchback arrived in Canada last summer as the Elantra GT. The new car is roughly the same size as its predecessor but reflects the distinctly conservative styling direction on new Hyundai-Kia group vehicles. Despite looking a bit older than the car it replaces, the new Elantra GT is attractive and nicely detailed, with some styling cues similar to those seen on the latest cars from Peugeot. The driver faces elegant, easily-scanned gauges located in a dashboard dominated by a large, free-standing pod that contains a touch screen flanked on both sides by conventional audio controls. Traditional climate controls reside at the top of the dash centre stack. Bins and bottle holders in all doors and copious open and closed cubbies throughout the cabin should satisfy even the most determined vehicular hoarders. Cabin materials are attractive and there are soft-touch surfaces on the dash top and upper front doors. The front and rear seats are supportive and rear seat legroom is competitive for this size of car. Spacious trunk. 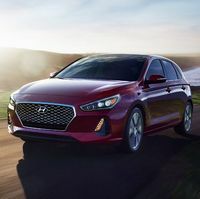 A direct-injected 2L gasoline four with 162 horsepower is the base engine, but the 1.6L turbo offered in the Tucson and the Elantra Sport is an available upgrade. The 2L is hooked up a conventional six-speed automatic transmission, with the turbo mated with a seven speed dual clutch automated manual. The 2L features basic torsion beam rear suspension, the ithe turbo having a fully independent multi-link rear suspension system. The basic GT is very nicely equipped and will suit the needs of most drivers. The GLS upgrade, which includes Keyless Go, a large format sunroof and automatic air conditioning, is priced to reflect the value of its additional equipment. The Sport differs from the GL and GLS by being powered by a 1.6L turbo four, and by employing a multi-link rear suspension system instead of a torsion beam device and an optional seven speed dual clutch automatic transmssion instead of a conventional six-speed unit. The GT Sport is priced $4400 higher than the GLS, which, when extra equipment is included, leaves about $2200 devoted to the mechanical upgrades. Upgrading from the base Sport to the Sport Ultimate represents an extreme bargain if you like its equipment. Average reliability predicted, like its sedan equivalent. Active Safety Features:Blind spot and rear cross monitors are standard on all trims. Forward collision, autonomous emergency braking, adaptive cruise control, land departure warning and lane keep assist are optional on the top end turbo model. 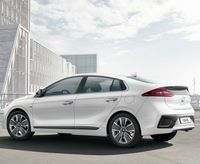 A plug-in hybrid model completes the Ioniq lineup. 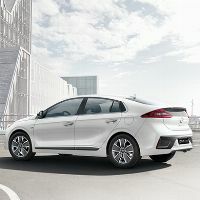 About the same size as an Elantra, the IONIQ is built on a different platform designed to accept conventional hybrid, plug-in hybrid and full electric powertrains exclusively. The exterior is modern, crisp and tidy but doesn’t forcefully signal the car is powered by alternative powertrains. With a 0.24 co-efficient of drag, the shape is very slippery. The cabin is practical and straightforward with cabin space being more adequate than spacious. A 106 horsepower 1.6L four is the basis for the hybrid and plug-in hybrid. Total system horsepower for the hybrid is 139 and maximum electric-only range for the plug-in is 37 kilometres. The hybrid and the plug-in send power to the front wheels via a six-speed automatic transmission. The full electric version is powered by an 88 kWh motor with a maximum possible range of 170 kilometres. The IONIQ will go on sale in Canada sometime in 2017. With heated front seats, a rearview camera and cellphone interfaces, the base Blue model, at $24,299, is keenly priced for a hybrid. The SE upgrade, with blind spot/rear cross traffic, heated rear seats and steering wheel as well as Keyless Go, is slightly too expensive for the extra content it brings. The Limited upgrade, with leather seating, adaptive cruise control as well as autonomous braking and pedestrian detection, is priced about $1000 too high given its equipment level. In contrast, the $31,749 Limited Tech trim level, with a memory system for seats and mirrors, active xenon headlamps, navigation and a premium audio system, is a bit of a bargain. Plug-in hybrid: The Limited trim is a bargain. Ioniq electric: The base SE trim is nicely equipped. The $1200 Climate group includes a heat pump which can extend range, but looks overpriced. Good value Limted range-topper. Good provincial rebates for the plug-in hybrid and full electric models. All new car, not rated. Coupe (sold as the Koup) has been discontined. 16" alloy wheels are now standard on the LX+ AT models. The EX sedan with automatic transmission now boasts a heated steering wheel. Alloy wheels are now fitted to all LX+ hatchbacks. An all-new Forte goes on sale in the fall of 2018. The 164 horsepower 2L four powering most Fortes delivers brisk, flexible performance with impressive refinement. Smooth, responsive six-speed automatic transmission. Despite low-profile 45 series tires, the SX rides with a resilient firmness that never devolves to harshness. While not the last word in feel, the steering on the SX is, precise, nicely geared and pleasantly weighted. There is so little difference in steering weight between the three settings as to reduce the feature to mere specifications filler. Road and wind noise are very well suppressed. The 1.6L turbo four is smooth, flexible and swift. The cabin is fronted by a dashboard stocked with crisp gauges and uncomplicated, but elegant controls. The audio and climate systems work with a smooth precision. Large, supportive front seats and good space for front occupants. The rear seat is comfortable and legroom is class competitive but headroom is a bit tight. In SX form, the Forte's cabin looks very upscale and is better-designed and appears more luxurious than the entry-level models of revered luxury manufacturers. High-luxury features such as xenon headlights, Keyless Go, heated steering wheel and a cooled driver's seat are available. Spacious trunk and a sonically pleasing audio system on the SX model tested. Straightforward Bluetooth hookup. The longer roofline of the Forte 5 hatchback makes for improved headroom for back seat riders as well as offering greater versatility. The Forte 5 SX 1.6 turbo came in second in an APA road test against a Volkswagen Golf 1.8, Comfortline. Coming in second was not so much a reflection on the Kia, which was highly regarded, but the overwhelming excellence of the Golf. The base Forte is powered by the same 147 horsepower four as the Hyundai Elantra, with a 164 horsepower 2L four found under the hood of the EX and higher trims. The SX hatchback feature a 201 horsepower turbocharged 1.6L four. The base LX model is not offered with automatic transmission or air conditioning. The LX with automatic and air conditioning, priced at $18,595 is the base model for most buyers. With heated front seats, cruise control, fog lights and six speakers, the LX+ trim upgrade is good value. The EX model is a bargain. The SX is comprehensively equipped but selecting an EX Luxury will net you the leather seating, power driver's seat and heated rear seats, compelling features on the SX, for less money. The LX and EX hatchbacks are powered by a 2L four but the SX is motivated by a 1.6L turbo. The EX Luxury trim upgrade is a bargain and delivers equipment such as leather upholstery, power seat and blind spot sensors; making the SX unnecessary unless you want more power. The SX is good value when you consider its turbo engine. Comparably equipped, a Forte hatchback costs $600 more than the sedan. Good reliability predicted with few of the 2L engine issues being reported on the Elantra cropping up on the Forte.